Frontman Mick Jagger has been advised by doctors that he "needs medical treatment"
The Rolling Stones announced they are postponing their North American Tour after doctors advised Mick Jagger to rest. Fans who bought tickets to see the Rolling Stones won't get any satisfaction come June. That's because the band announced the postponement of the next leg of their tour, which was originally scheduled to kick off in Miami on April 20. The Stones were set to perform at Gillette Stadium on June 8. Mick Jagger has been advised by doctors that he cannot go on tour at this time as he needs medical treatment, according to an email from the Patriots public relations team. The doctors have advised him that he is expected to make a complete recovery so that he can get back on stage as soon as possible. The email did not specify what the health concerns are. 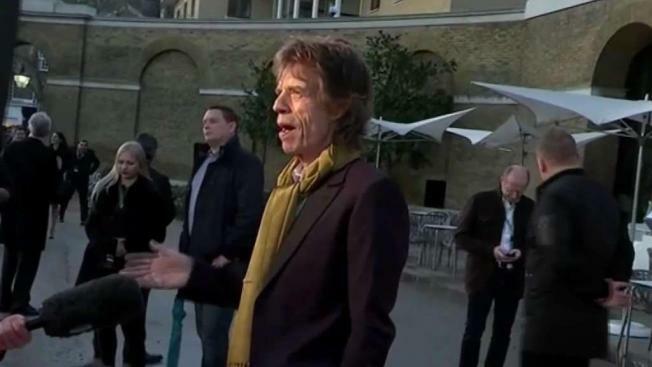 “I hate letting our fans down and I’m hugely disappointed to have to postpone the tour but am looking forward to getting back on stage as soon as I can,” Jagger said in the news release. Tour promoters advise people who have tickets to attend these shows to hold onto their existing tickets as they will be valid for the rescheduled dates. Shows in Miami, Houston, Denver, Washington, D.C., and the New Orleans Jazz Festival are all postponed.